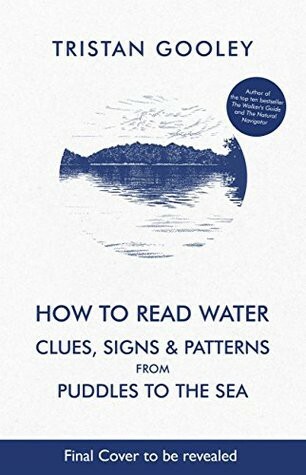 “How to Read Water” is a book that takes us on a journey through the diverse aspects of water. We get to learn about all kinds of water bodies from humble puddles to mighty oceans, from inland rivers to currents in seas. We gain insights into water-related phenomena ranging from ripples to waves to swells, from tsunamis to tides, from the color of water to the sound of it. Along the way, Tristan Gooley, touches on various subjects such as wave mechanics, ecology and gravitation. He hits upon the right balance between science and the romance of water, by not making the science too dry while not dumbing it down very much either. This delicate balance ensures that the book never bores us. We get to see a great example of this explanation early on when he describes how Pacific islanders navigated by drawing an analogy to ripple formation in a puddle. There are several gotcha moments which add to the enjoyment. ‘How to Read Water’ offers important information, rich in quality and quantity. But, this volume is its Achilles heel as it is too much to be consumed in one reading. I will compare the book to a box of sweets or candy. We might enjoy eating one, two or three sweets in one sitting, but partaking of the whole box is going to be a bad experience. I recommend glancing through this book to get an idea of what is covered. We can then use ‘How to Read Water ‘as a reference when needed. For instance, if you are going to a beach, read the chapter on beaches. You will then look at the beach from a very different perspective. Of course, showing off your knowledge is a bonus!